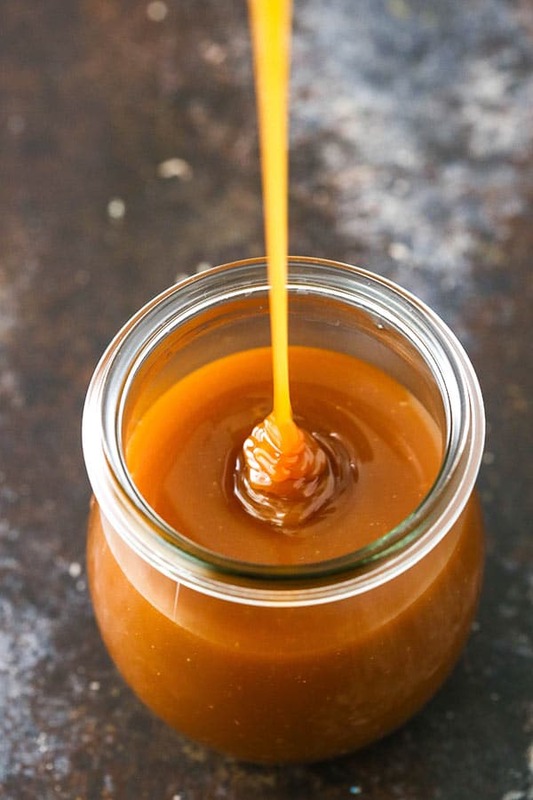 This Homemade Caramel Sauce is to die for! It’s a classic recipe that you’ll make over and over again. I know because I’m doing it right now. Caramel sauce on all the things! You guys, it’s officially September. Can you believe it? Get ready for all things fall! I’m so excited for apples, pumpkin and all the awesome flavors of the holidays! Bring it. And yet I CANNOT believe it’s already September! Where has the year gone?! I feel like the end of the year is fast approaching and I’m totally not ready. Baking-wise, I say let’s do this. Life-wise, however – slow down! Whatever. I’ll drown my disbelief in a jar of this caramel sauce. It’s so darn good it eases the pain of time flying by. Last year I shared this Easy Caramel Sauce with you and this year I’m taking it up a notch! 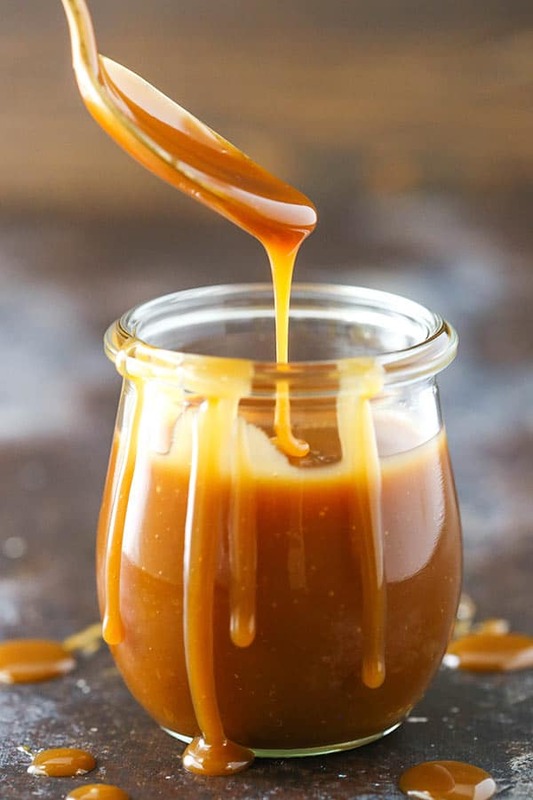 This easy caramel sauce uses brown sugar and is a more straight forward way of making caramel sauce that I still love, but this caramel has a deeper, more rich caramel flavor to it. It takes a little more care in making, but is totally worth it. To start, you melt down the sugar. It’s a regular white sugar. It may seem intimidating, but it really shouldn’t be. Melt it over medium-high heat and just watch it, whisking it as it goes. It’ll start to clump together first, then you’ll notice it start to melt. That’s when it gets exciting! The whole melting process should take about 10 minutes, give or take. The sugar should continue cooking until all the clumps are melted. Once they’re gone, stop whisking and allow the sugar to cook a little more. Keep a very close eye on it. The color will turn to a deeper amber color and you should notice a nutty aroma. It’ll happen quickly and as soon as it does, you want to remove it from the heat. If you let it go too long, it’ll burn. Pressure, I know. But once you notice it really start to turn darker, just take it off the heat. At that point, you want to add the butter and whisk it in to the sugar. It’ll bubble up, but keep whisking. The butter seems to resist coming together completely, but it will. Next add the heavy cream and again whisk until combined. There’ll be more bubbles, but then you’re done! Also, check out my new video showing you what the process looks like! 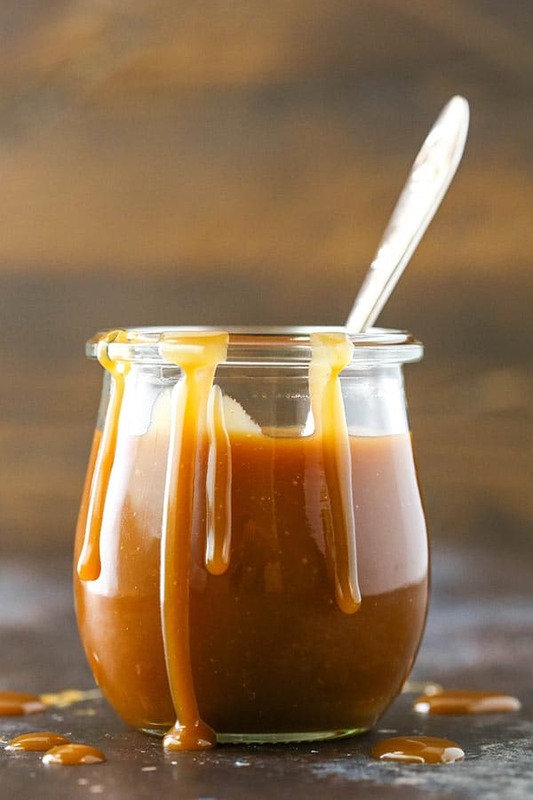 This Homemade Caramel Sauce recipe is to die for! It’s a easy recipe that you’ll make over and over again. 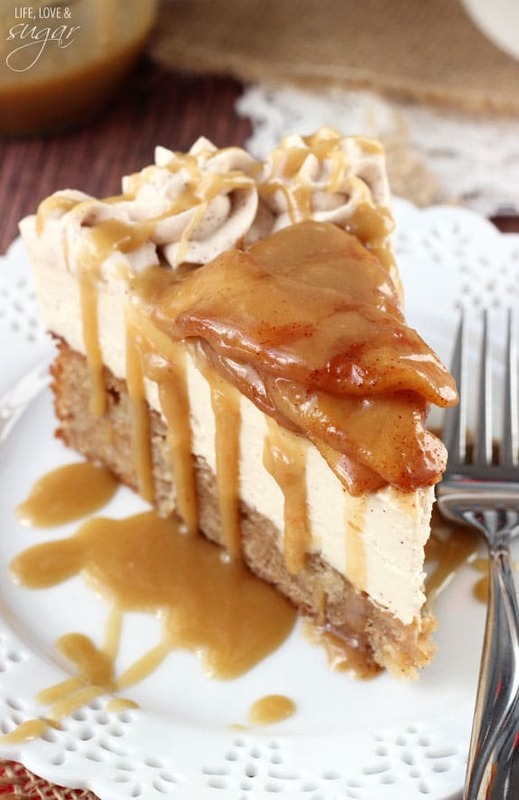 Caramel sauce on all the things! 1. Pour sugar into an even layer in a large saucepan. 2. Heat on medium-high heat, whisking the sugar until melted. The sugar will clump up first, but will eventually completely melt. This will take about 10 minutes. 3. Once the sugar has melted, stop whisking and allow to cook until the sugar has turned to a little darker amber color. You may notice a nutty aroma. The change in color will happen quickly, so don’t let it go too long or get too dark or it’ll burn. Remove caramel from the heat. 4. Add butter and whisk until combined. The mixture will bubble up, but keep whisking until all the butter has melted and combined. 5. Slowly pour the heavy cream into the caramel and whisk until incorporated. 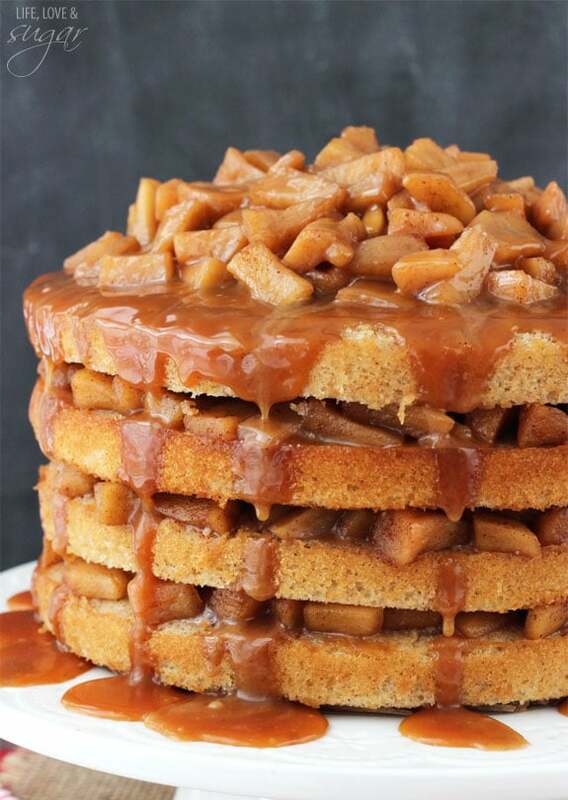 I find it can help to add just a bit at a time until the caramel starts to thin out, then you can add the rest. 6. Cool for about 10-15 minutes before using. Store leftovers in a jar with a lid. Refrigerate up to 2 weeks. I have some kind of caramel issue, really. I swear. Sometimes it works, and sometimes my sugar just never stops clumping and then it gets darker while clumping. Aaaaaah. But I will not give up! Yours looks perfect! Hmm, perhaps it’s on too high heat? So then maybe it cooks too quickly, resulting in clumps that don’t get melted? Try using brown sugar instead! Yum! 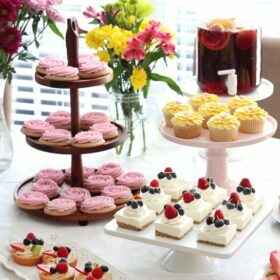 It is amaizing, the deserts is very good!!! There’s a simpler way. Just simmer condensed milk while still in the can and it turns into it. Just make sure the can stays covered in water. I can’t believe I’ve never made caramel sauce, but this looks beyond perfect – can’t wait to try it. Oh my gosh! My mouth is watering. thank you for posting this. I have never tried making homemade caramel but it looks easy and so good. Loved the pictures of the apple creations. I could lick that caramel right off the spoon! YUMMY! I would like to go for a mouth-open swim in this sauce. Love love love! I’m not familiar with topping cream. I’m sorry. 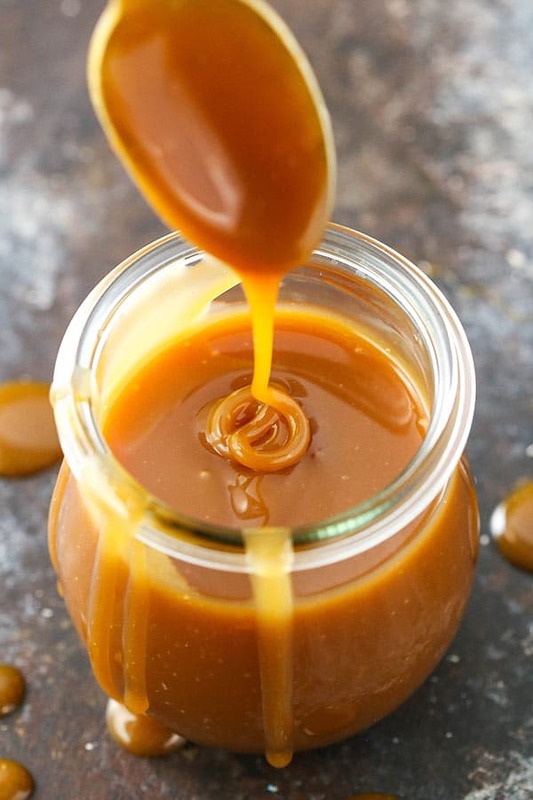 It’s my first time making caramel… and my exact words were “oh my God, oh my God, come taste this!” It’s an amazing recipe, easy process and easy ingredients. Thanks for sharing. This was really easy to make and is delicious!!! Recipe only made 3-4 oz jars so I have to make a few more. 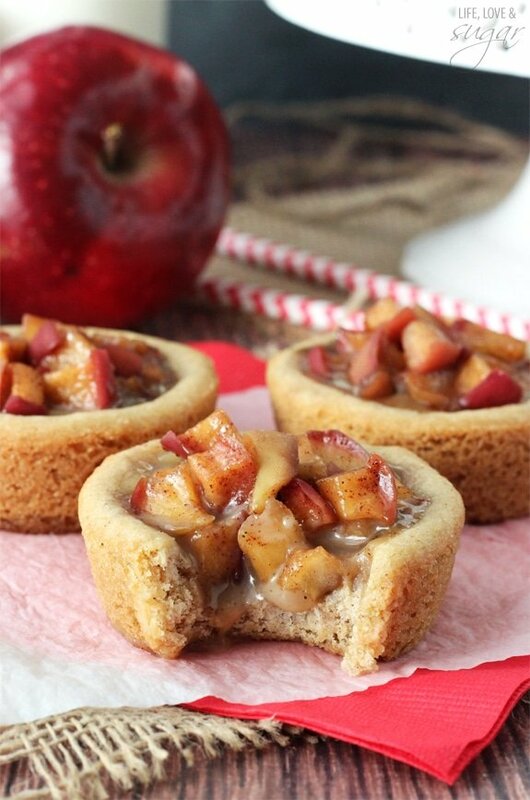 I plan on gifting these with a couple apples in a gift baggy. Once you remove sugar from hear do you keep it off the heat the rest of the time? Or put it back on once you add the butter and other ingredients? The answer is sort of either. 🙂 I normally take it off the heat, turn off the burner and then when I add the butter and cream, I’ll put it back on the warm burner if it seems like it needs it. I tried this and the sugar just kept clumping. After reviewing some other recipes i realized you actually should not whisk the sugar. I also find that, for a beginner, making the caramel using a water+sugar (wet method) is much for forgiving. Then I add the other ingredients to follow this recipe. Works great. Did you happen to watch the video? It shows the process quite well. Clumping is part of the process. I want to thank you for the video. I am sure that i would have thought I had done something wrong. With the sugar or butter. Would not have kept stirring. Did you have a chance to watch the video? That might help you see what to expect. It definitely sounds like your butter was too cool. The melted sugar is extremely sensitive and if the butter is too cool, it does exactly what you describe – it hardens. The butter needs to be room temperature or warmer. If it’s a bit cold out and your butter is still cool at room temperature, heat it up a bit before adding it. I made this and your other recipe for gifts last Christmas, turned out beautifully. Yesterday I tried making this 3 times and they all seized up! I thought the first time my butter wasn’t room temp enough, so the next time I left it out for longer, badness. The last time I actually melted the butter a bit but I still had a few clumps that wouldn’t mix into the rest……I got about 6 ounces out of it, but it was good! I also added some vanilla to the milk for one of the batches and its perfect!!!! Ok with this video it looked fool proof….kidding! This was my 4th time trying to make caramel and again it didn’t work. I’m so frustrated. I melted the sugar, didn’t let it burn, added the butter and it melted and bubbled and sort of encorperated but then got stringy and I added the whipping cream slowly as I was whisking and then it clumped and became a hard lump of sugar! What the heck am I doing wrong. 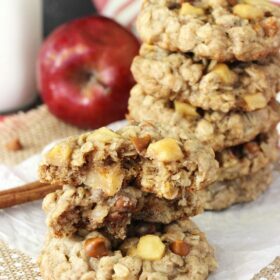 I really want to make my own caramel for my kids to dip apples junto but it’s just not working! It can be tricky to get the hang of it. It actually sounds like it was fine up until the cream. It can look a little stringy and weird after the butter, but usually smooths out nicely with the cream added. The fact that it clumped tells me the cream was too cool. The caramel realllllly is sensitive to temperature. Try heating it up in the microwave a bit before adding it next time, just to be sure that it’s not cool. If using this on a cake, will it lose its sheen/become white-ish after refrigeration? I wouldn’t say it becomes white-ish, but it can loose it’s sheen when cooled. can i make this caramel sauce the day before or will it go hard overnight? should it be stored in the fridge or pantry? You can definitely make it a day ahead. It should be stored in the fridge and will firm up, but you can always microwave it to soften it up again to the consistency you want. This caramel sauce was amazing. I forgot how simple it is to make caramel items. Thanks for such a great recipe, this is going in my family’s recipe book! Hi there i love love your page! Just wanted to ask can you use this caramel as a cake filling or is it not thick enough? It’s pretty thick at room temperature, but it’s also quite sticky. I’m not sure if I’d recommend it as a filling or not. You could definitely try it! 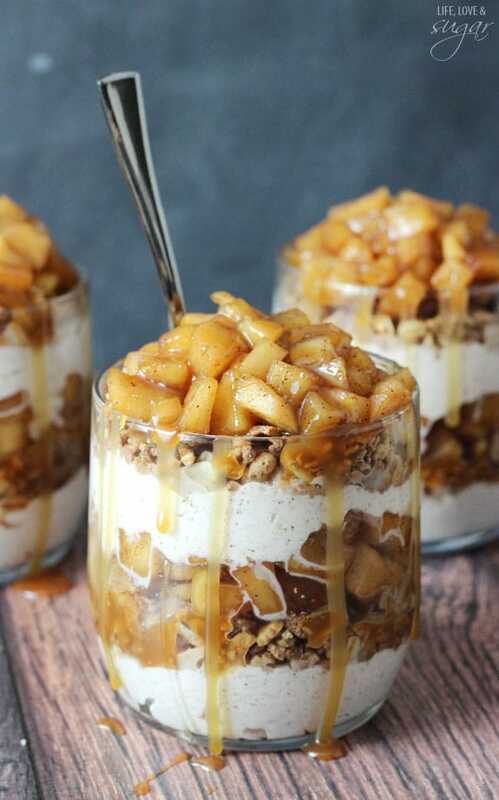 I love caramel and all things caramel (is that beer a word, LOL), I’ve always been too scared to make caramel but today i tried your recipe and it was just perfect. Will definitely be trying it again and hopefully it will be just as beautiful and yummy the second time around. I burned the first batch, but the second one was awesome, except it had tiny sugar bits in it.. is this because I used cane sugar? Thanks for the recipie! Burning it can be easy to do. I don’t think the little bits would be because of the cane sugar. I’ve had it happen and I think it’s from the temperature of the heavy whipping cream when it’s added. The caramel is SUPER sensitive to temperature. Anything that’s too cool will cause it to seize. My guess is that the cream was warm enough that it didn’t cause the whole thing to seize, but still cool enough that little bits formed. You could try heating the cream in the microwave or on the stove before adding it. Burnt the sugar (too much heat) first two attempts. Third attempt cream was too cold. Warmed sauce over a low temperature until all the lumps dissolved. Video definitely helped to figure out what I was doing wrong. I’m so glad the video tutorial was helpful! First time I made it, it went absolutely amazing. Second time, it became impossibly hard at the butter stage. I figured the butter was too cold so I microwaved it some the second time and yet it did the same thing again. Only potential difference I can think of is the second time I used the butter, I actually used margarine instead. Could that have made that much of a difference? I would think margarine would be fine. I don’t know what else would cause it to harden other than temperature. Maybe try adding about half of the butter, then the other half and see if that helps? I haven’t ever tried it, so I’m really not sure how it’d turn out. The first batch burned while I was waiting for it to get more amber. The second batch didn’t seem to burn, but it’s bitter!! Any thoughts? Hmm, it sounds like it might still have burned a bit. Try a batch without waiting for more than a few seconds for the caramel to turn a little more amber. Depending on how long the sugar takes to melt completely, it might already be fairly “ambered” once it’s done melting. If you try it without letting it sit for too long and can get the hang of seeing what it’s like when it isn’t burned, it’ll help you gauge it later when you let it amber more. Letting it rest really just deepens the flavor. If you just proceed with the recipe without letting it sit as much, it’ll still turn out great. Hello. Can I use half and half instead of heavy cream? I haven’t tried it but I think it’d be ok.